Families, faculty, staff and Kindergarteners through 6th graders all contributed to a great start at Martin Luther King, Jr. Elementary School this year. Our first day, Thursday, August 9th, opened with many family members greeted by eager employees and smiling students. One second grader commented, "Im just so glad to see all my friends!" That statement sums up the overall feeling at MLK. 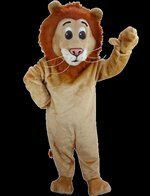 We welcome preschool lions on their first day, Monday, August 27, 2018.